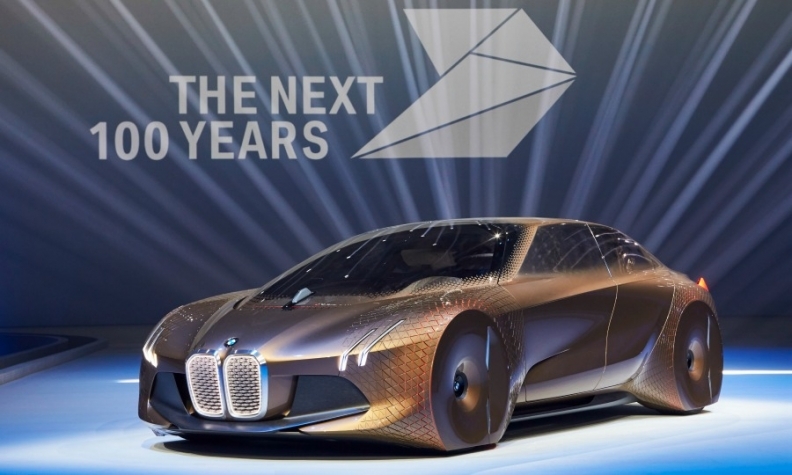 BMW's iNext model due in 2021 will use self-driving technologies showcased in the Vision Next 100 concept. BERLIN -- BMW is on track to deliver a fully self-driving car by 2021, the company's senior vice president for autonomous driving, Elmar Frickenstein, said. "We are on the way to deliver a car in 2021 with Level 3, 4 and 5," Frickenstein told a panel discussion in Berlin on Thursday, explaining the vehicle will have different levels of autonomy, depending on how and where it is used. A Level 5 vehicle is capable of navigating roads without any driver input, while Levels 3 and 4 still need a steering wheel and a driver who can take over if the car encounters a problem. Frickenstein later clarified his remarks, saying the company's iNext car due in 2021 will offer Level 3 automated driving. This would allow the driver to do other tasks while the car steers itself, but the driver must still be prepared to take control when needed. Technically, BMW will be able to equip the car with Levels 4 and 5, Frickenstein told Automobilwoche, a sister publication of Automotive News Europe. But no decision has been taken. Whether this happens depends on regulations, the availability of 5G telecommunications and whether there are road infrastructures in cities on which driverless cars can travel, Frickenstein said. Level 4 means the car can drive itself without driver attention but the driver must enable the autonomous system and can take back control. At Level 5, the car makes the driving decisions itself.